The sloping text gives the piece a good visual dynamic but maybe suggests all their houses are at a tilt. The descending g of housing connects to the white space around the logo, finding an equivalent link with the word Chance could have pulled the whole thing together (or perhaps not connecting the g to the bottom would’ve given you a different dynamic). De-sloping takes away a bit of the energy, but took ‘Housing Association’ out of the bottom block to see what happened. 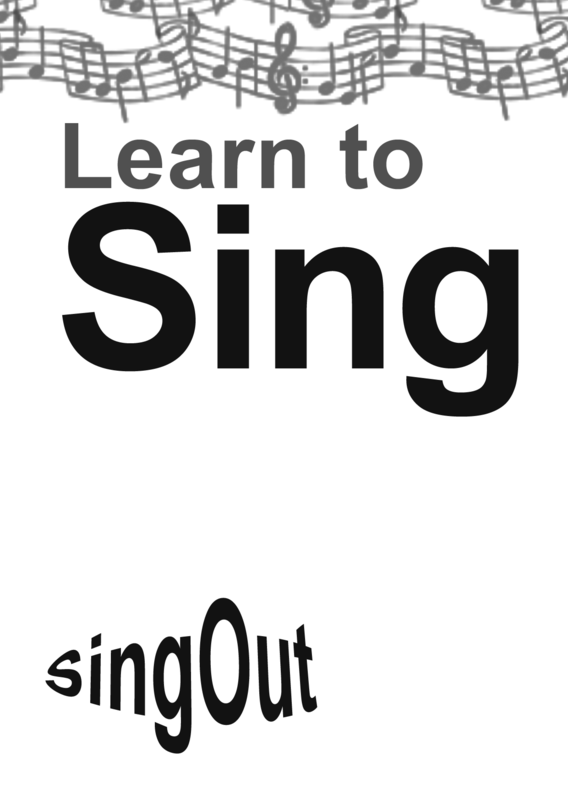 Just used one font and tried to tie it all together… and after a lot of re-arranging, added a baseline, hooked that g back onto it, and stacked the whole lot up on top. Looks flat without the slope and slightly deflated, but maybe a bit more twiddling with the weight of the baseline might do it?? The only element that I felt needed a bit of a boost was the logo itself – I thought it worked perfectly well in combination with all the other visual elements on the page, but once away from that it started to feel a little flat. Basically I think it could have done with a different typeface, just to pull it out. The only element I was less certain of was the block section headers, which felt a little heavy in comparison to the rest of the work – perhaps the corners needed to be rounded or the combination of colours lighter? Not sure about the first letter of each paragraph being pulled out either, perhaps a little over decorative given your aim to keep it simple? 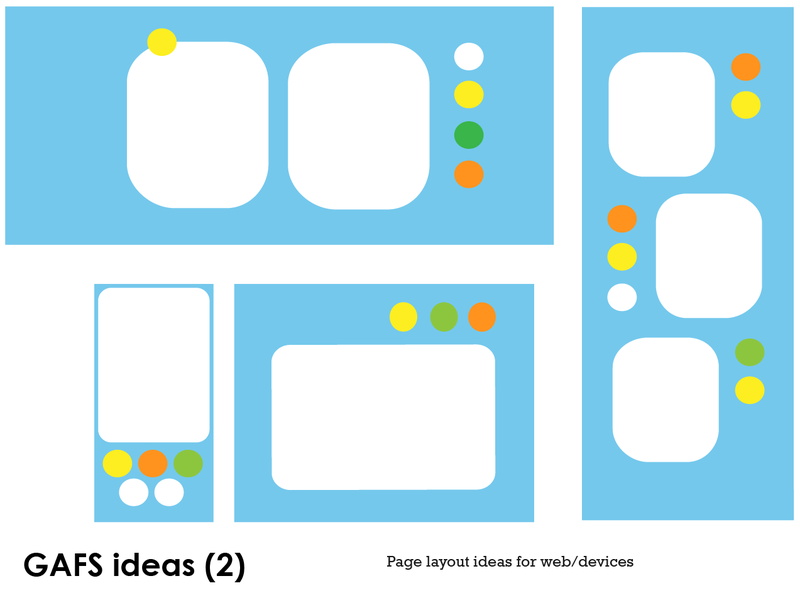 Thinking about how the boxes will behave in the containers when the web page is resized in the browser (think wide screens, tablets, phones here). 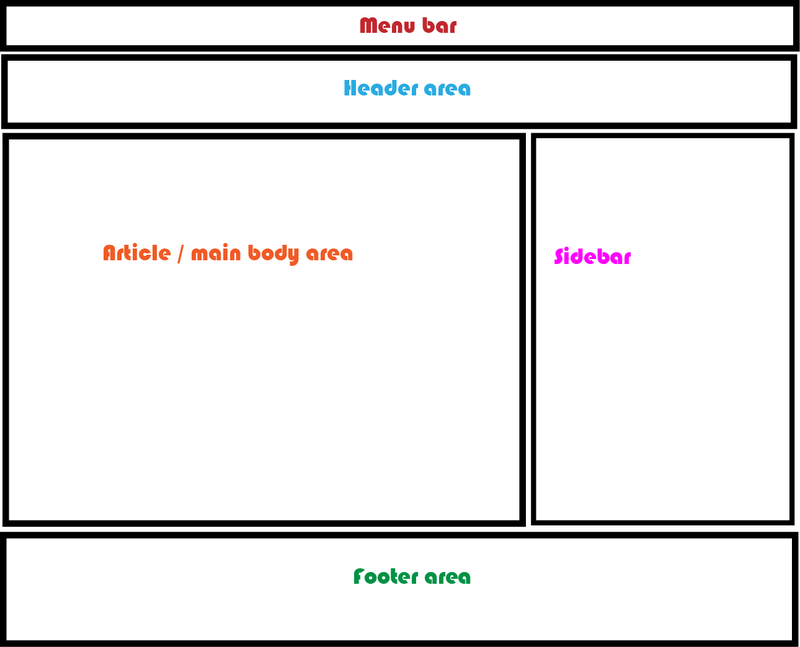 My idea is to make the top menu and footer containers fill the width of the screen, with the content centred on the screen. Ideally, boxes in the main content areas (article, footer, sidebar) will re-arrange themselves in the horizontal space from left to right, and top to bottom. Non-essential boxes can disappear if there’s not enough space. Thinking about the tools: websites often start with Photoshop. 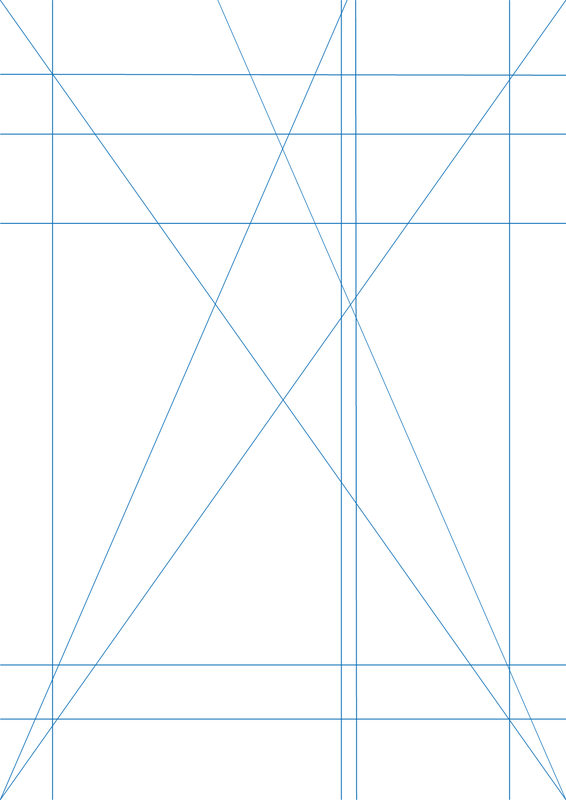 Indesign is basically about boxes on grids – the boxes are stretchy, the grids are fixed. 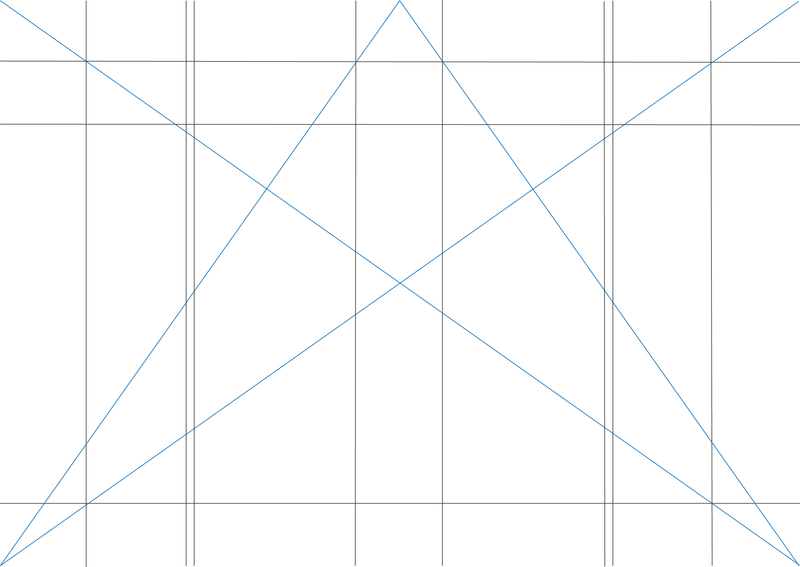 Pixels and vectors – fixed and stretchy. 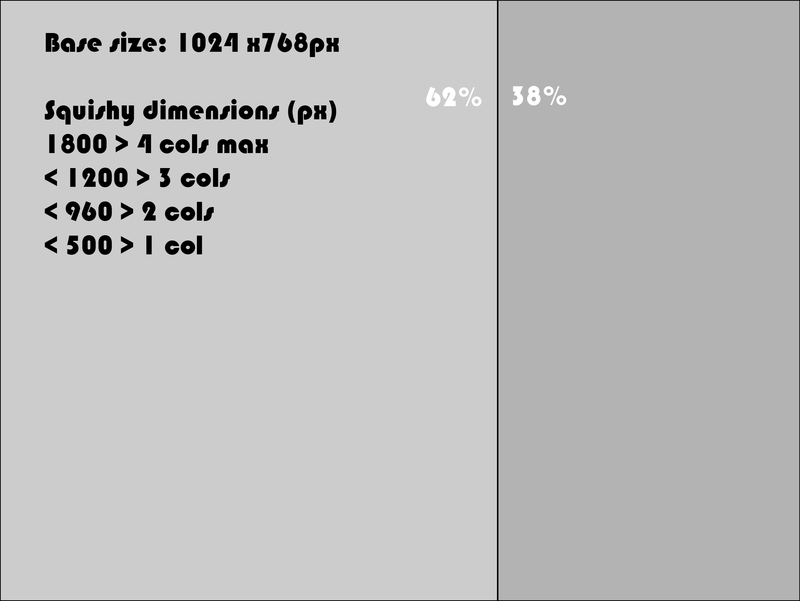 Looking at web grids and the whole debate about working to fixed widths, or flexible relative widths, or some combination. 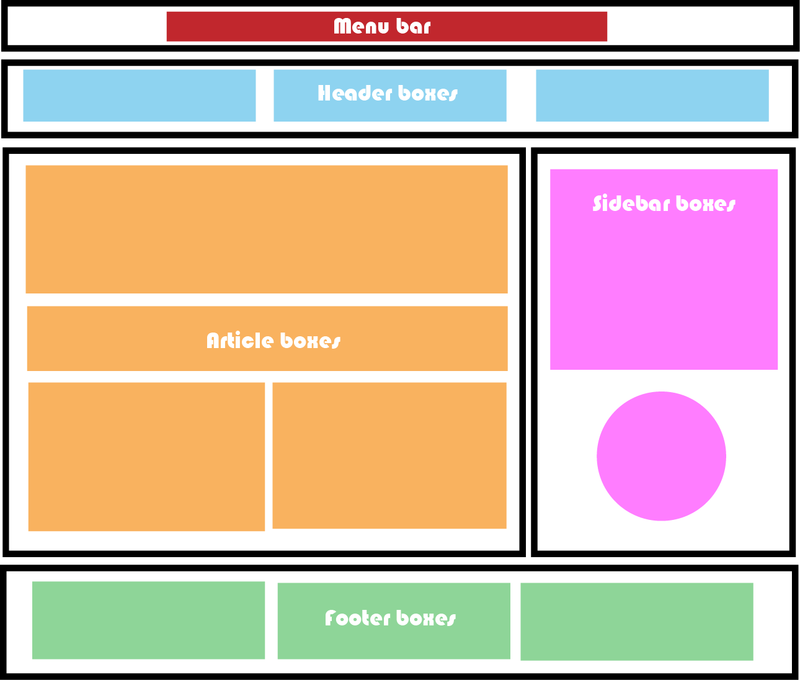 Basically it’s about building boxes within boxes and creating the rules for what happens when there isn’t enough horizontal space for all the objects contained within a particular box. Paper deals in fixed sizes, but designs usually have to work across a range of proportional sizes – ie A4 > A5 portrait > A6 landscape postcard > business card. So it’s pretty much the same. 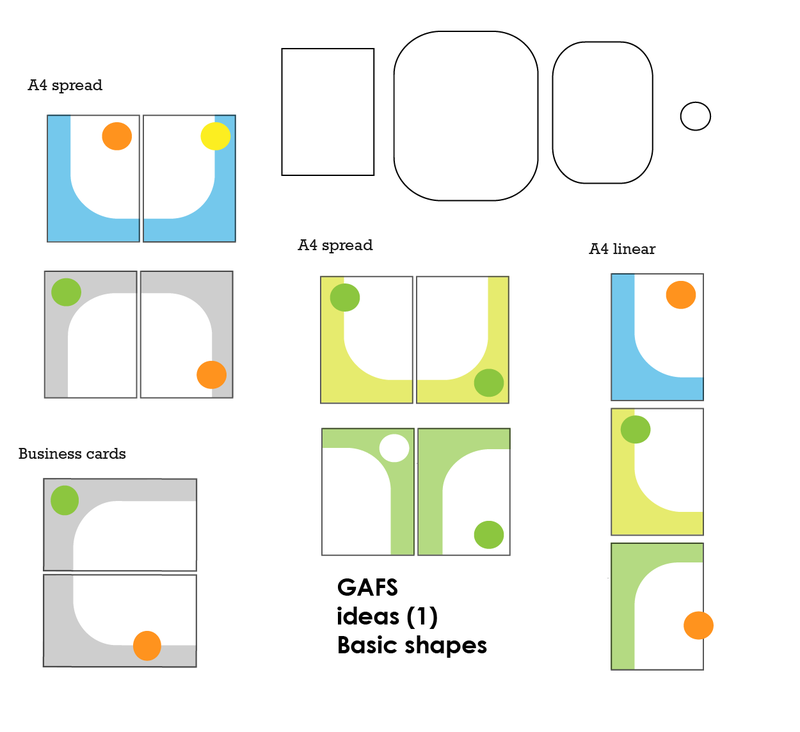 I tested the grid by adding the basic shapes to see if it works (ie creates balance) and it looked quite promising: A4 grid tryout, A4 grid tryout 1, A4 grid tryout 2, A4 spread tryout.